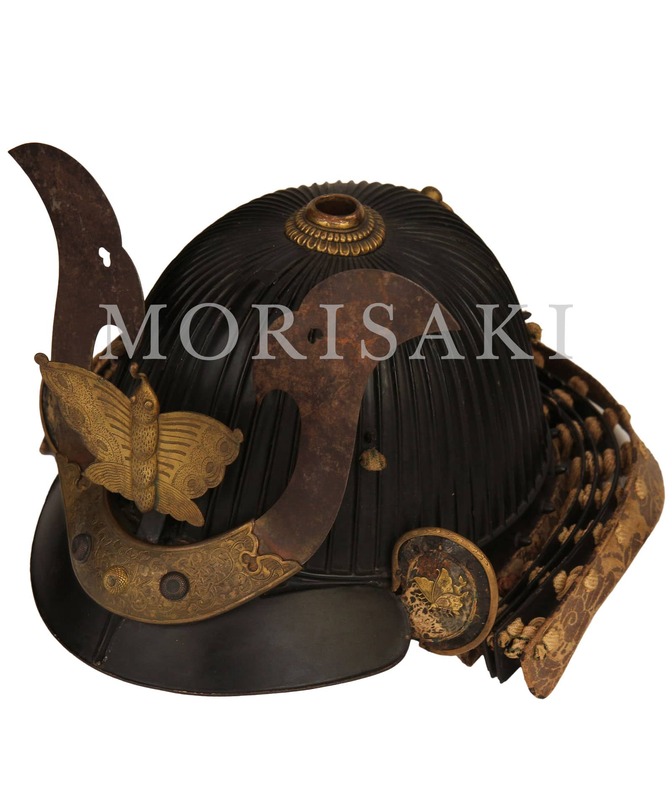 He is an armorer from Saotome school, but the signature is very rare. 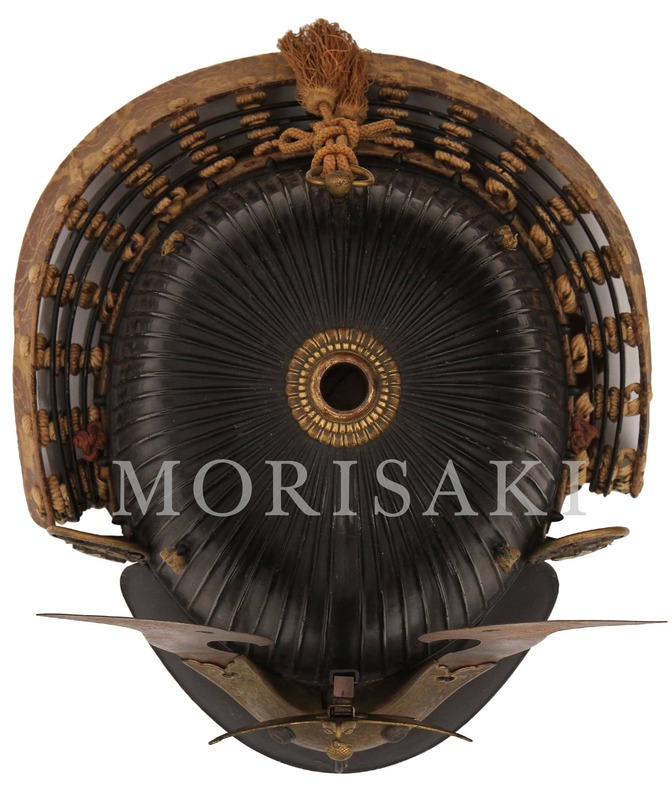 The first layer is set hoshi-byo, and it is regarded as Koshimaki. 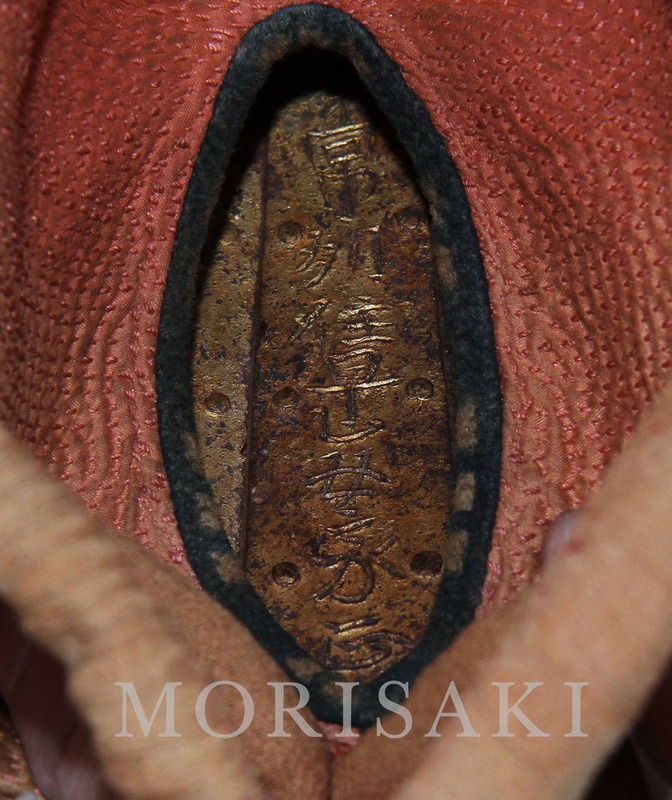 The second layer and the sixth layer are covered with Japanese brocade. 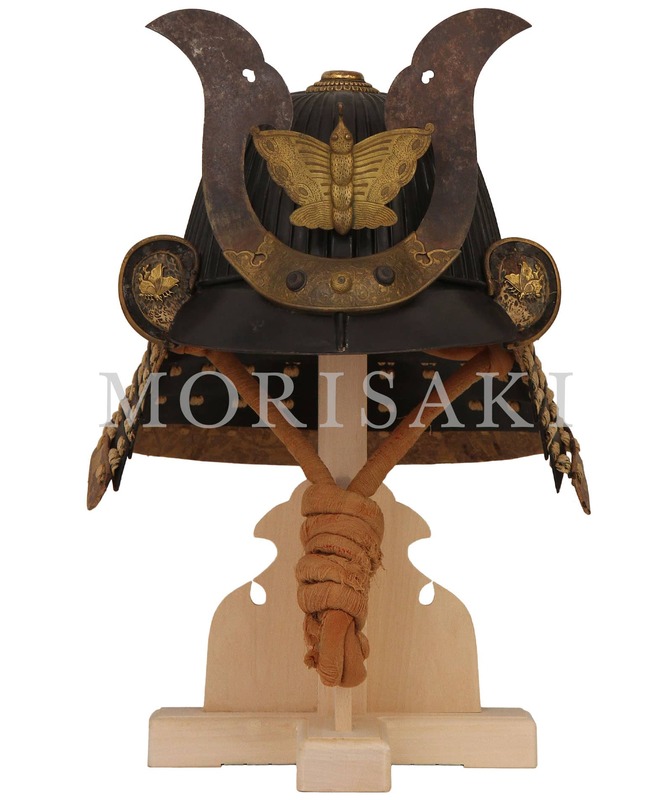 This Shikoro's structure is very rare. 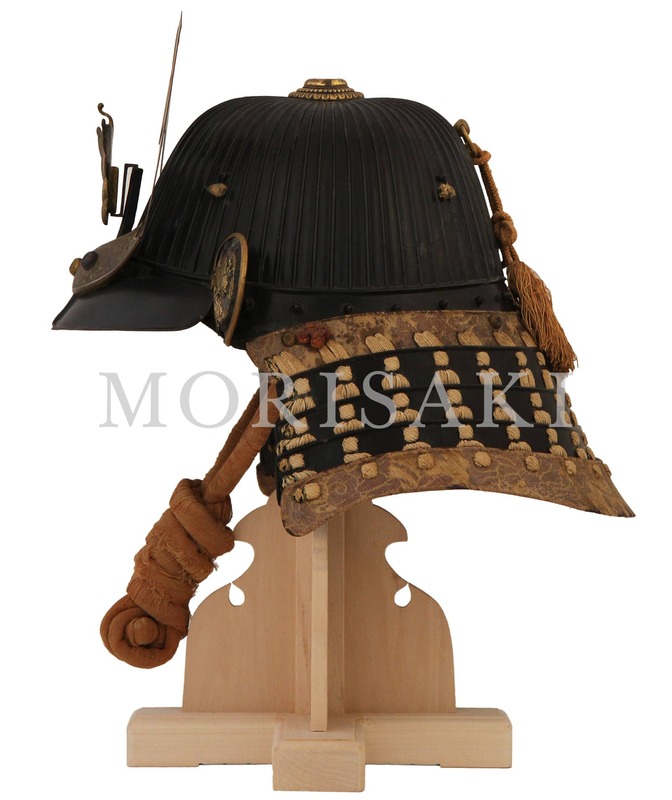 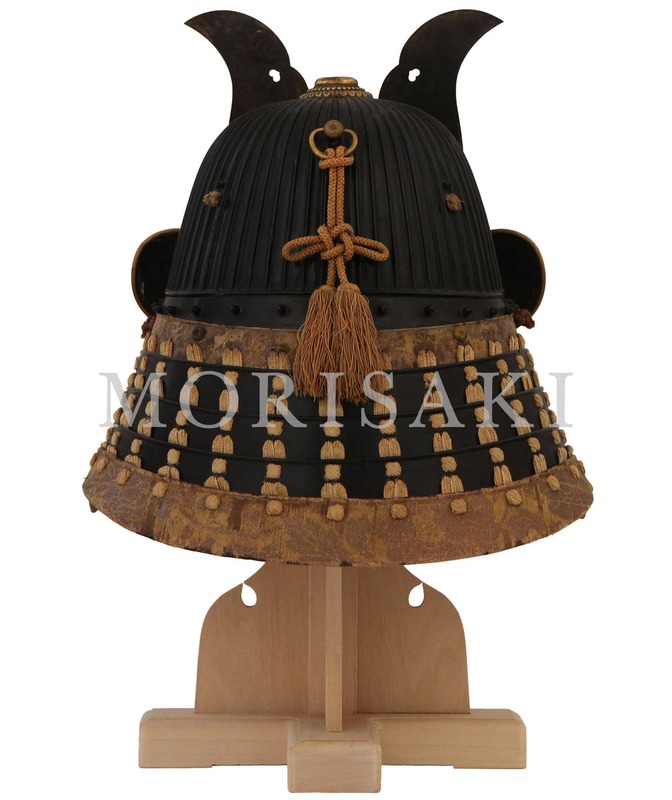 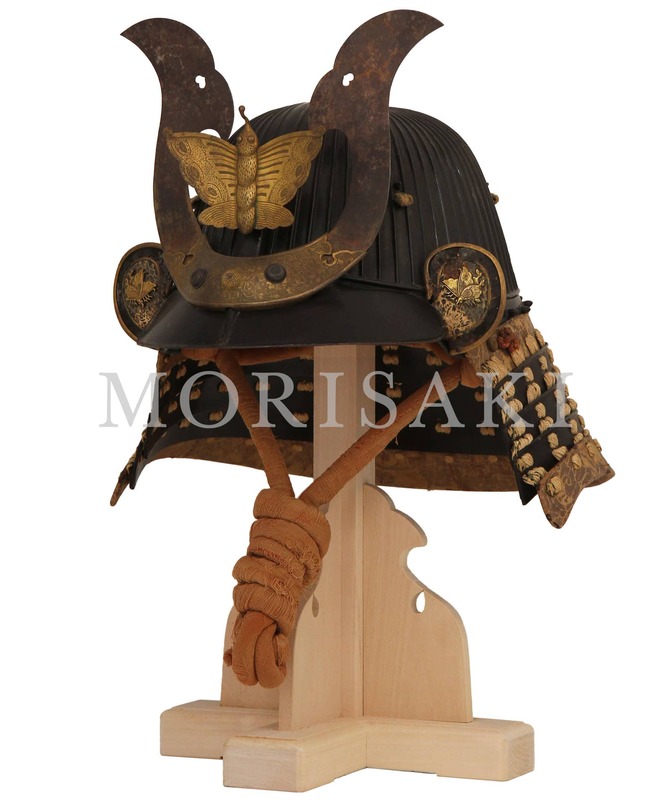 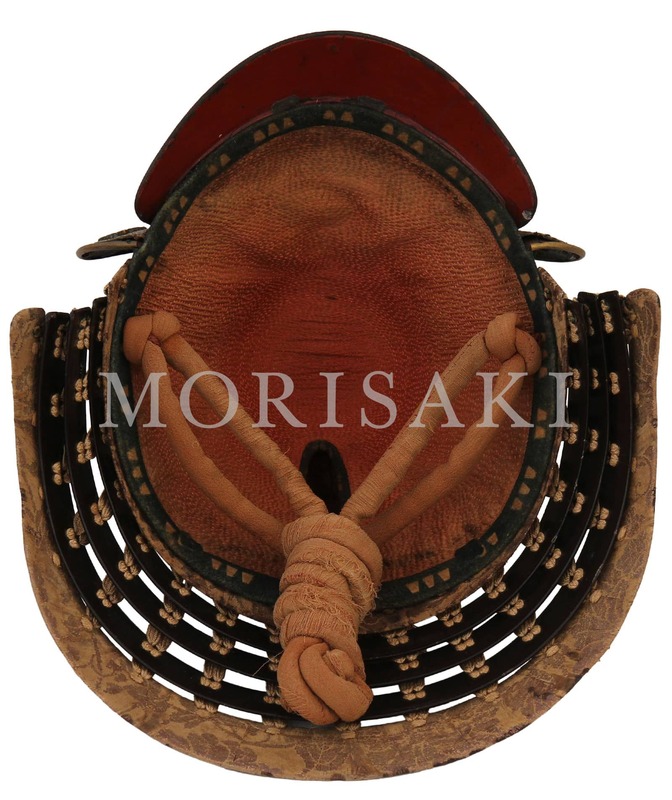 Koshimaki is sheet iron plate wrapping the bottom part of a helmet like a belt. 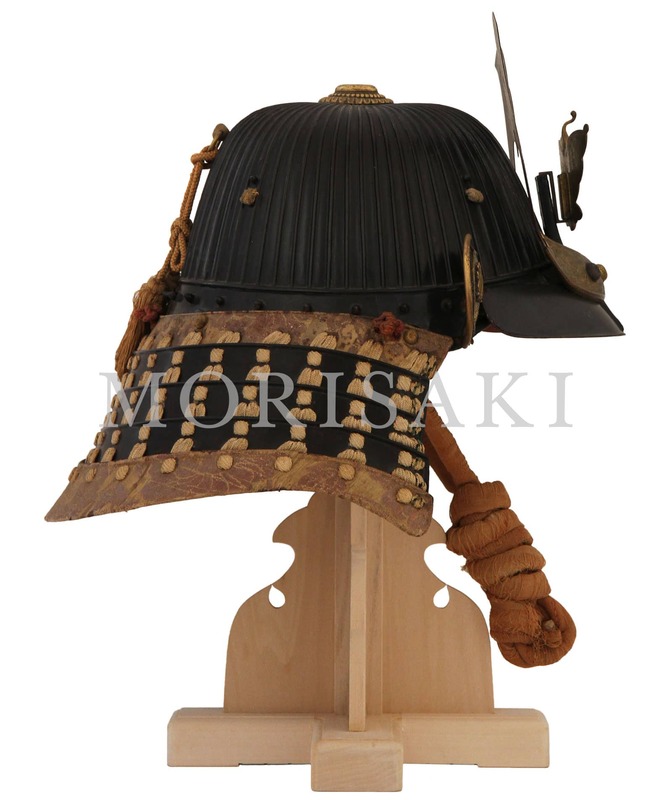 Koshimaki has an important role to keep a helmet bowl hemispheric. 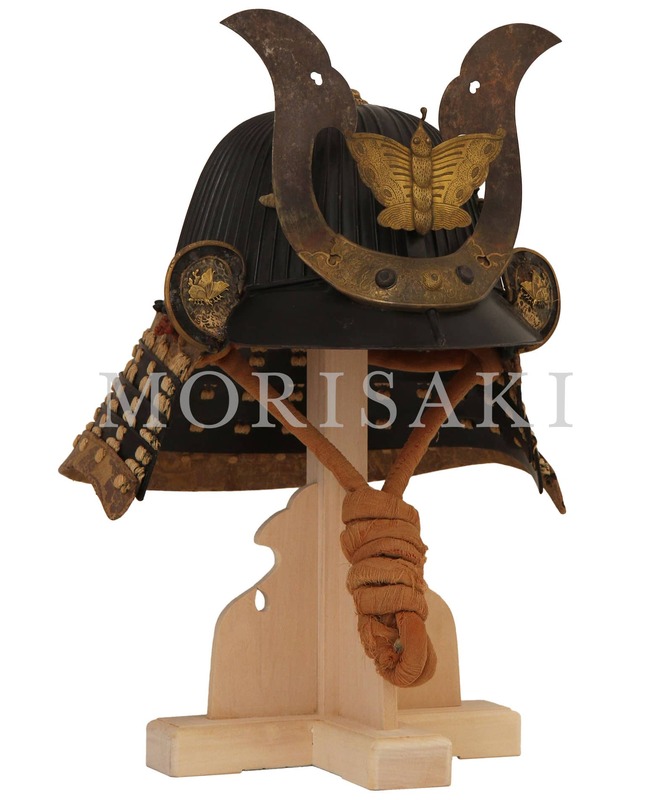 Judging by the swallowtail butterfly family crest, it seems to have some relationship with Daimyo Ikeda family.